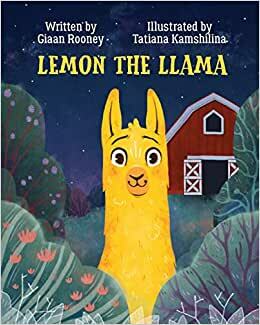 Lemon the Llama, written by Olympic swimmer Giaan Rooney. Lemon is a little bit different from everyone else. She has thick yellow fur and a loud scream. Shunned by her herd, Lemon tries to find a place she truly belongs. A beautifully illustrated, vibrant story that showcases the beauty of standing out from the herd.